Ever wanted to have a time report automatically update each week, or each month? Well you can achieve this now thanks to the new Live Reports feature. We've updated the reporting once again making it even more powerful. Not only have we added a few extra filters (which you might have noticed already), such as filter by Tag and by Status, but we've added the ability to create live reports by selecting a date range of "Last Week" for example, or "Last Month". The report will basically keep up to date every week, or month, or year, with the time entries that get added in that time frame. You'll notice the Live icon by reports that are set up this way. This means that you can send a link to your client, or manager, with the report all set up. Then they can stay up to date all the time, without needing new reports to be generated. If you archive a project, any time data attached to it will now show up in the reports. Previously archived projects were buried away so you couldn't report on the time data that was attached to them. This is now possible, thanks to your suggestions. Your projects will still be archived and hidden away, but the time data will still be accessible. If you want to hide the archived projects, you can set the Status filter to "Open", or "Closed". Similarly if you want to show just the archived projects you can set the Status filter to "Archived". This data will also appear in CSV exports too. You can now create a "Workload Summary" report which will detail which tasks a particular user is assigned to, within a specific timeframe. 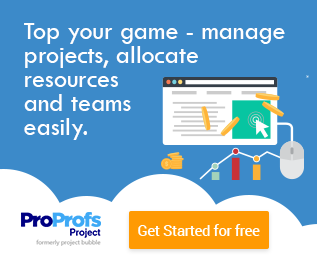 This is extremely useful for project managers who need to know what resources they have assigned for a given month, or for a given project. To get this report just click on the Reports tab (if you have the correct permissions), click on Add Report (or edit an existing report), then select the Workload Summary report type from the drop down. You can filter the report based on user, project and date. Project Templates and a Cool Menu!